Head of the athletics team Iosefo Nailoilo said the athletes were in a confident mood ahead of the Games and looked forward to competing in front of the big crowd. 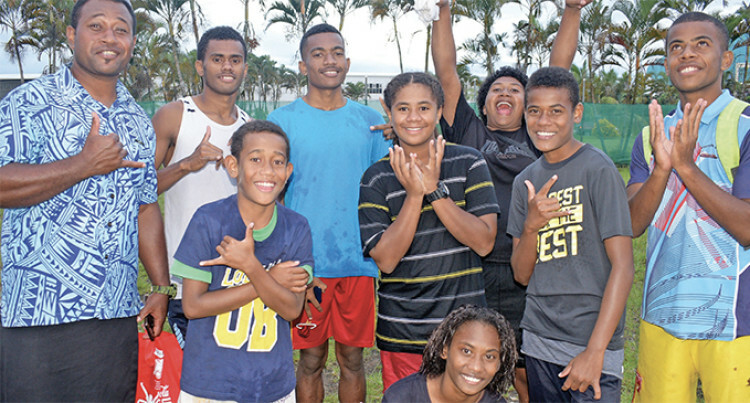 Vatukoula’s Nilsen Col­lege is aiming for two gold medals at the Fiji Second­ary Schools Association national finals, known as the Coca Cola Games, which starts today. The school did not field any ath­letes at last year’s Games but re­turns this year eyeing gold in the inter boys 100m and the sub-jun­ior girls discus. Coach and head of the athletics team Iosefo Nailoilo said the ath­letes were in a confident mood ahead of the Games and looked forward to competing in front of the big crowd. “We want our students to do their best and have fun in the process. For some of our athletes, this is their first time in Suva so we don’t want to put too much pressure on them,” Nailoilo said. “Most of our athletes are from the sub-junior grade so we are developing them for future com­petitions. At the minimum we are targeting two gold medals and the students have prepared well for this meet. The Cokes Games will run for three days starting today and will host approximately 2,605 athletes from across 154 schools. Ratu Kadavulevu School and Adi Cakobau School will be defending their boys and girls titles respec­tively.